Welcome to The Ultimate Walt Disney World Dessert Checklist featuring Disney’s Animal Kingdom! Desserts are an important part of the Disney dining experience. Where else can you get creatively themed desserts made daily by some of the best pastry chefs in the world. 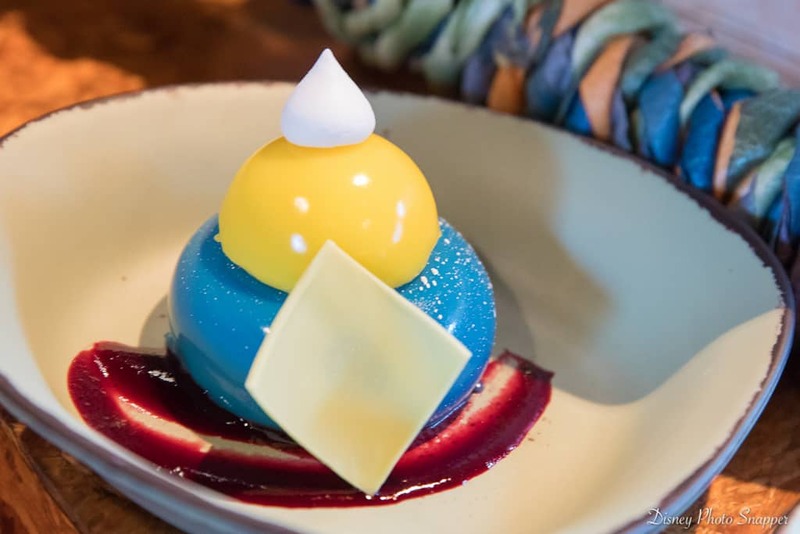 The hardest part of dining at Disney is saving room for dessert and the goal of this Ultimate Disney Dessert Checklist is to help you prioritize. If you haven’t had a chance to visit Animal Kingdom’s newest land, Pandora – The World of Avatar… now is the time! Not only are the two attractions, Na’vi River Journey and Avatar Flight of Passage, absolutely amazing but the land itself is beautiful. Inside this land you’ll find a quick-service spot known as Satu’li Canteen. Try their delicious Blueberry Cream Cheese Mousse with Passion Fruit Curd. Not only does it look like a masterpiece on the plate, but tastes very refreshing and light! Milk Tart is a South African specialty. In Harambe Market’s version, a chocolate tart shell is dusted with sugar and Chinese five spice powder, filled with coconut custard, baked, and then drizzled with dark chocolate ganache. It’s a wonderful dessert or anytime snack! At Flame Tree BBQ, you have your choice of traditional chocolate mousse or a bold key lime mousse. The chocolate mousse dessert is a fluffy, rich mousse covered with a decadent chocolate ganache. If you feel like trying something new, the key lime mousse is sort of like key lime pie in a cup — graham cracker crust is topped with key lime mousse and a lime gel for garnish. Kusafiri Bakery is known for its specialty cupcakes that are inspired by the creatures found throughout Animal Kingdom. Try the Simba Lion Cub Cupcake with vanilla cake filled with passion fruit pudding and topped with vanilla buttercream and a special fondant Simba. If you’re looking for a chocolate fix, you will enjoy the White Chocolate Elephant Cupcake with chocolate cake, chocolate frosting, and a special white chocolate elephant topper. 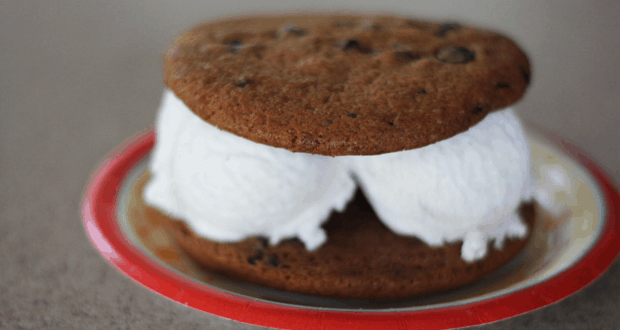 Dino-Bite Snacks is known to have one of the best ice cream sandwiches in all of the Disney parks. A massive treat, the sandwich consists of three scoops of vanilla ice cream sandwiched between two freshly baked soft chocolate chip cookies. With a size of nearly 6 inches in diameter, it is a dessert made for sharing! A crispy waffle, decadent espresso mousse, and a drizzle of rich chocolate sauce… what more needs to be said? This is one of the newest desserts at Animal Kingdom and quickly becoming a fan favorite. There’s no better way to start your day at Animal Kingdom than with a cup of coffee and a Tree of Life Cupcake from Isle of Java. These new cupcakes are made of chocolate cake, buttercream, sprinkles, leaves and branches made from more buttercream, and a special fondant Tree of Life cupcake topper. Often considered the best dessert at Animal Kingdom, the fried wontons at Yak & Yeti are a must-have for any Disney dessert lover. Wonton wrappers are filled with lightly sweetened cream cheese and fried to a perfectly crisp golden brown. They are then skewered with pineapple, drizzled with a sweet sauce, and served with strawberries and a bit of ice cream. What are your favorite desserts at Disney’s Animal Kingdom? Be sure to comment below and let us know! Jordan Hamons first visited Disney when she was 3 years old and has been back every year since. She's visited Walt Disney World, Disneyland, Disneyland Paris, Hong Kong Disneyland, and Aulani but hopes to make it to every Disney property in her lifetime. While she used to plan her trips around character autographs, she's now more focused on the food. Jordan lives in Cincinnati where she works as a chef, cooking teacher, food and travel writer, and blogger. She studied marketing and international business at the University of Cincinnati and received her culinary training at the Midwest Culinary Institute. Jordan is a seasoned traveler and has spent time eating and cooking in Europe and Asia. A passionate baker and dessert eater, Jordan loves teaching classic techniques and international flavors. You can visit her culinary travel blog at www.TheHungryTravelerBlog.com.